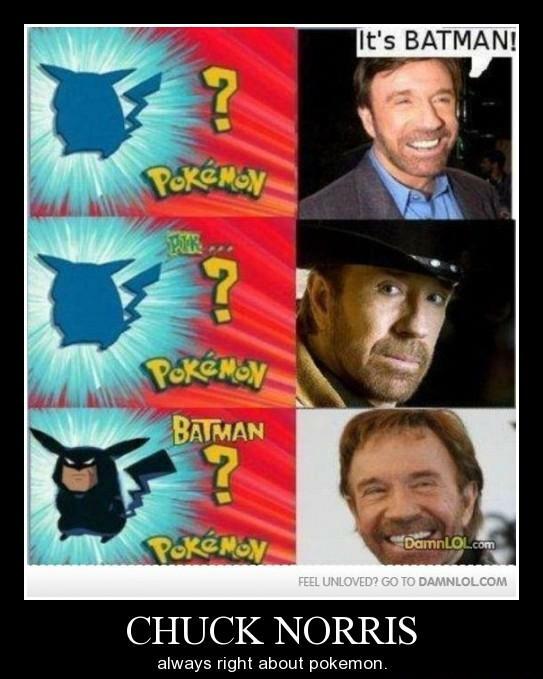 I was going to say Batman too, Mr. Chuck Norris! Really, I was! I guess because at first chuck thinks it's batman, then he looks at it sternly, then it becomes batman..
:P well.. it's obviously a joke. But honestly, i really don't know him but i always came across his name anywhere..